Plenty of bosses hang up motivational posters around the office. 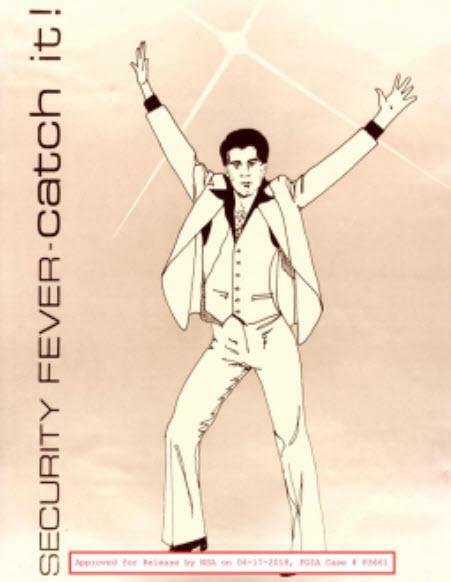 But it’s not just companies that do this kind of brainwashing by graphic design: the NSA does, too. 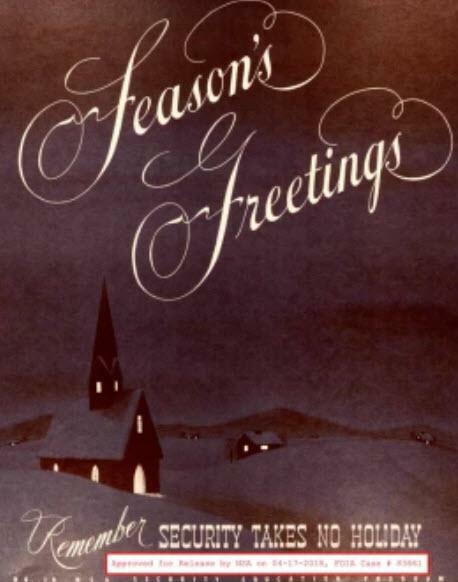 A “Season’s Greetings” poster displays a Norman Rockwell-esque scene of a cute little town blanketed in snow–and a grim reminder at the bottom of the image that “security takes no holiday.” This poster in particular is so creepy because of how the designers juxtaposed the sheer normalcy of the scene and the frilly, Hallmark Card font used to wish employees happy holidays with their eerie message of constant vigilance and loyalty to the government. 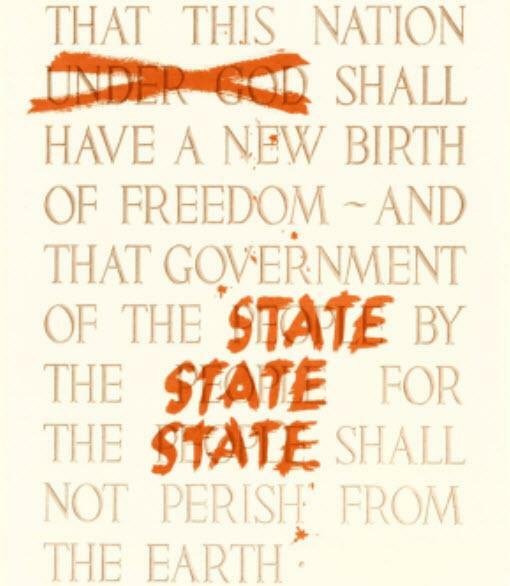 Perhaps the most bone-chilling is a poster featuring the last words of the Gettysburg Address, with the word “people” crossed out in bloody red ink and replaced with “STATE.” Just in case NSA employees forgot who they were working for. 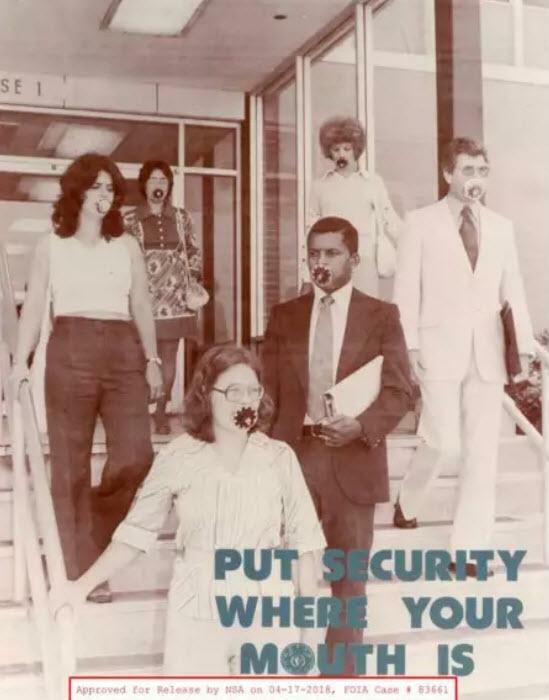 Because these paranoid posters are from so many years ago, the NSA of today doesn’t know who designed them, but whoever it was had the daunting task of reminding employees what the NSA is all about while scaring them into keeping their mouths shut. 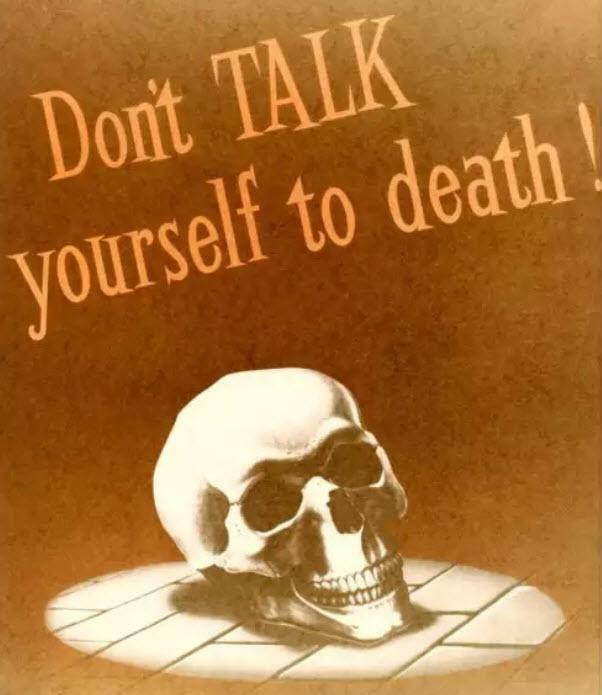 And the designers used some surreal tactics to get their point across. 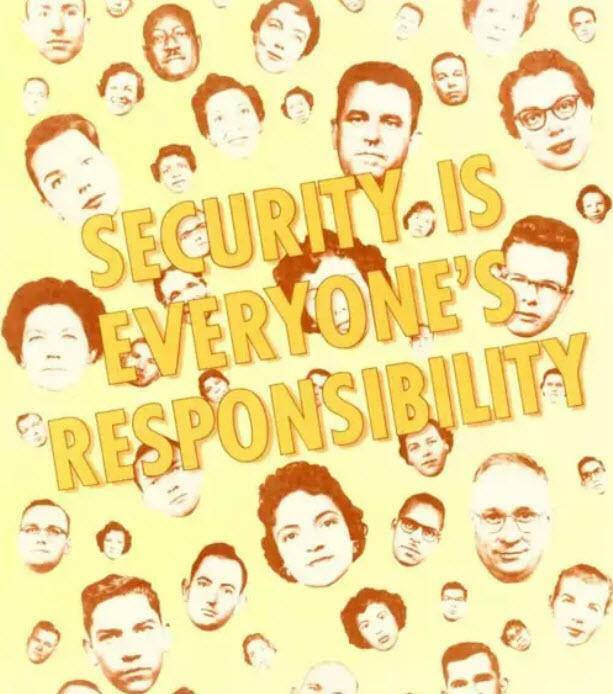 One poster declares, “Security is everyone’s responsibility” with dozens of heads that look like they were cut out from magazines floating on a pale yellow background. 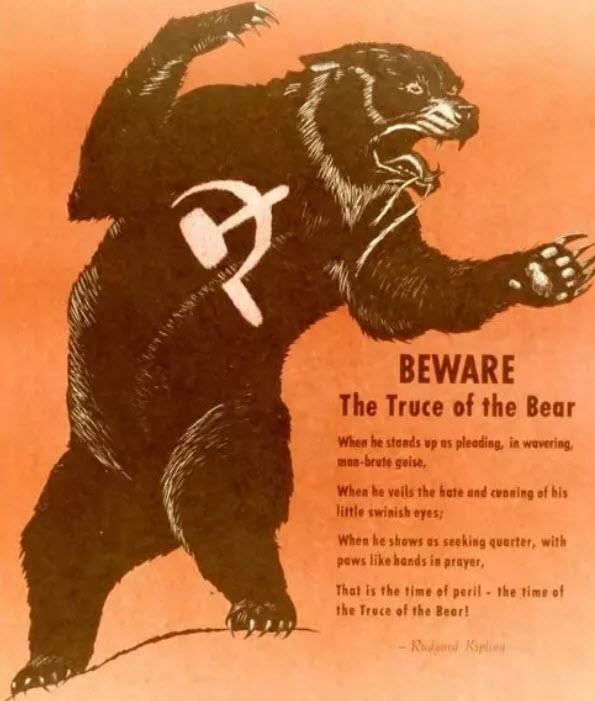 After all, many of the posters were from the era of McCarthy’s Red Scare. It’s like the NSA is a very dorky parent who’s trying to be hip–dad jokes about John Travolta and all–but still has to make sure the kids never tell the family secrets. 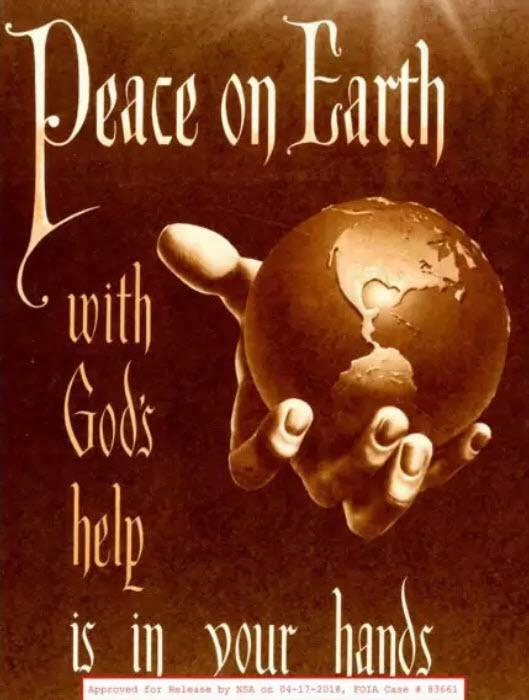 The NSA told me that these kinds of posters still populate its walls, mostly in office areas where employees tend to congregate, like elevators, cafeterias, and water fountains, and maintains that they’re nothing out of the ordinary. Nonetheless, old posters are surreal gems of graphic design that capture the anxiety–and insanity–of the Cold War era. Check out the entire set of posters here.